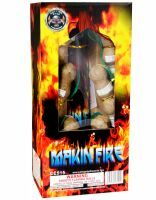 Makin' Fire features triple-break artillery shells with a variety of color combinations and effects! Live Blast shells are double-break, "peanut style" artillery shells. Each shell displays two different effects in the sky at once! 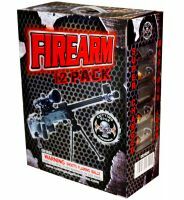 A high-end ball shell kit from Brothers with 12 shells of various effects. 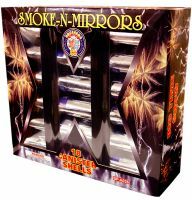 Smoke N Mirrors canister shells are maximum-load shells with very large breaks. Effects include: golden willows, time delayed crackling flowers, colorful bouquets, flying fish, and scrambling comets. 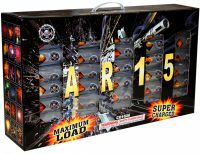 Double-break artillery shells that each deliver two breaks in the sky with assorted effects. 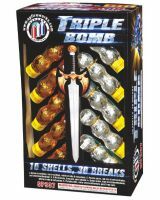 Triple-break artillery shells that each deliver three breaks in the sky with assorted effects. 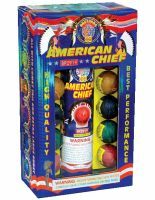 A great value for 6 reloadable ball shells with assorted effects. 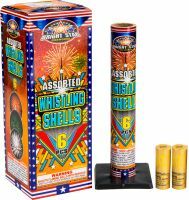 Artillery shells with 6 assorted effects that all whistle as they launch into the air.